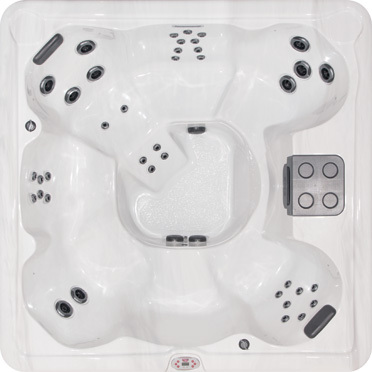 Dimensions 108” x 94” x 38"
This spa has more stress-relieving jets than any other Twilight model. So regardless of which seat you choose, you're sure to feel the full power that hydrotherapy provides. 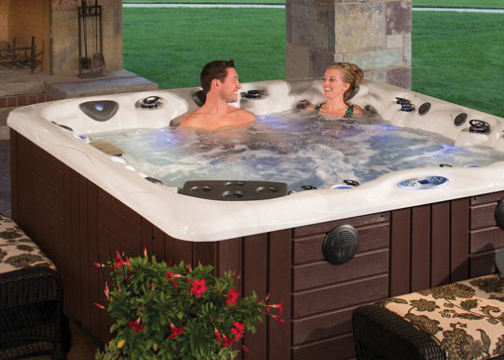 Dimensions 94" x 84" x 38"
Legacy Whirlpool is one of those unique products that combine world class quality, outstanding therapy, luxury amenities, all at a surprisingly affordable price. Dimensions 86" x 52" x 28"
Dimensions 84" x 66" x 32"
Dimensions 69" x 79" x 32"
Dimensions 87" x 87" x 35"
Dimensions 71" x 87" x 34"